On this episode of Secret Golf, we're joined by the brand new OHL Classic Champion, Patton Kizzire. Hi, I'm Diane Knox. And on this podcast, Steve Elkington and I talk to Patton, fresh off his maiden PGA Tour victory in Mayakoba. Hear him talk about the strong points of his game. I've made so many clutch putts this past week, that it was scary. How he felt on the final day, knowing the trophy was within reach. I knew Rickie was going to make a push. And I was going to play as aggressive as I needed to, or as conservative as I needed to. And why the weather delay on Saturday got him even more fired up. My whole Saturday was Auburn football, which worked out great. To see them really throttle the Georgia Bulldogs was pretty sweet. I was amped. We've got it all for you on this Secret Golf podcast. It's Secret Golf. It's what I'm looking for. It's why I get up every morning for my good time with friends. It keeps me coming back for more. Secret Golf We're headed down the road. We just loaded up the big show, going and looking for the heart and soul. Rolling 'til the wheels fall off. It's Secret Golf. Ssh, it's a secret. So on today's Secret Golf podcast, we are very, very happy. I guess we're having a little bit of a celebratory party on the podcast today because we are joined by the latest PGA champion, Patton Kizzire. How does that sound to you? That sounds awesome. I've been waiting on that for a while. Of course your first win at the weekend-- the OHL Classic in Mayakoba. And congratulations from all of us at Secret Golf, because we are just over the moon for you. It was a long time coming. Yeah. Well, I appreciate you guy's support. And it makes it a lot more sweeter. Well, I think your biggest cheerleader is wanting to talk to you right now, and ask you a few questions about it. Elk is here. And Elk, how happy were you? Oh, I watched it. I told Patton. After he won, I spoke to him on Monday morning, and I was more nervous watching him. And I've heard this from people before, that your family and friends are more nervous for you than he was. Of course Patton-- you can just tell by his voice and his demeanor on the course that he's pretty calm. But Patton, I've got to ask you mate. Rickie Fowler was putting a fair bit of heat on you on the back. Can you tell us a little bit about the last three holes first? And then I might go back in the round a little bit. Yeah. I figured he would make a charge. I was kind of playing to my competition. I guess I should've been going for more birdies. But I felt like with that big of a lead, I've made some nice pars coming in. I'd be fine. And then there it was, he birdied 16 and 17 to make it really interesting. And that was quite a pressure packed last hole, but I was glad to get it done. Of course the tee ball on 18 is very tight. And then Rickie put one in the fairway. And then you-- of course, I don't know what you were thinking, but you hit a good tee shot. But it kind of jumped left and then nestled up against the side of the bunker where you had to have a really awkward stance. And I was thinking, man, you can shank this ball easy because you had to stand-- I would say, twice as close as you would regular. Is that true? Yeah. Yeah, I was just trying to squeeze a fade. You know, kind of a squeezed fade is my go-to shot off the tee. And the wind was off the right. And I was trying to just start it a little right of the bunker. I thought I could fade it more than the wind was going to hold it, and get it over there in the fairway. And then it ended up so close to the bunker, anything could've happened. I had to rely on my hand-eye coordination pretty heavily there. And of course you're tall, right? You're like 6' 5", for people that don't know that. 6' 4", or 6' 5"? Yeah, 6' 5". So I was standing pretty near to it. I was probably standing at about 6 foot 3" right there, and I'm normally am gone to about 6 feet. So standing really tall and really close to the ball, and had to swing-- pretty much, straight up and down. Exactly what you don't want on the last hole of a PGA tournament to try to win your first event, right? Exactly. It was almost so difficult that it took some of the pressure off of me. I do pretty well when there's only one option. I kind of like it when it's so difficult that you only have one shot in mind. So there's something to learn right there. So you're saying that it kind of relaxed you in a way, because there was only one option? Is that what you're saying there? Yeah. It was such a difficult shot that I really had one option. And it took the focus away from the tournament situation, and put it more into the actual shot. I only had one option. It was to stand really close to the ball, and try and knock it on the green. Of course you did that. And then when Rickie Fowler was not able to put the pressure on by hitting it close, he was outside of you. And when he missed, we all felt like-- because the strength of your game is putting. I think you're leading the tour in putting. You've lead the tour in putting on Web.com before. Was that the club in the bag that was great for you this week, or in general? What worked so well this week? Gosh. I made so many clutch putts this past week, that it was scary. That definitely propelled me to the win. I hit a lot of good shots. You have to hit good shots to win. But the putter really set me apart and put me in the position that I was in, and kept me there. It's demoralizing to play against a guy that putts as good as you. I can attest to that for sure. I'd like to take you back just a little bit. You hit it almost in the hole at number 11 on the last day. Literally, we were all standing there, you included. Rickie Fowler, we're all looking at this ball-- how it wouldn't go in. You made birdie at 11. I played the course, Patton. You have to play 12 and 13 really well. And you kind of pulled your shot at 12-- got away with it, made four there. But then the next hole, you pulled it again into the water. Tell me what happened with the pulls. And how did you right the ship? Because a lot of guys, lot of girls that play in matches, they're ahead. How did you compose yourself coming in, because they're narrow tee shots. Yeah. First of all, I could not believe the ball stopped on the edge like that. An eagle there would have felt pretty good. So we get to number 13 tee, and all week the wind has been very similar Northeast wind. And that's off the left on 12. So at 12, 13, and 14 are all hard off the left of the Northeast. And that's a difficult wind for me because I like to fade the ball. I have difficulty allowing it to fade. I feel like once it starts fading, I just don't want to over fade it. So I give it a little bit of right hand at the bottom, and it's a strong pull. It's like a hammer straight pull. And it got me in a little bit of trouble there on 12 and 13, but I was able to save pars and keep the momentum going. Were you feeling like-- you know, I can ask you this, because I've been in that position. But did you feel like you were leaking oil? Or did you just say, hey. It was a wind-- it was a situational deal. I tried to stay that way to the left, but I just over did what I'd normally do. Yeah. I didn't panic because I had done that before. I've done it in other tournaments. And I did it during the week of the tournament, in prior rounds. So I knew what I was doing. And I was able to recover the putter. I knew if I just got myself a putt for anything, there was a good chance I was going to make it. So that calmed me down, and kept me from worrying and panicking. So I just kind of rolled with the punches, and went up there and tried to make the best of it. Well, that's great advice there. Because of course, your strength is putting. And of course, now you've reiterated today that you were just going to roll with the punches and get it up on the green where you could take your best option, right? Now the fall cannot get any better for Patton Kizzire. You are currently the FedEx leader. You're probably the Money List leader. You're at Sea Island, which is the last event of the fall this year-- where you actually live, where we shot tyour players channel. So I'm not worried about you at all. But mate, I've got to ask you about your beloved Auburn Tigers, who beat the number one team, Georgia. Did that have anything to do with it down there, mate? Did that help? It certainly didn't hurt. It was kind of wild how the tournaments played out. So I played Thursday and Friday, and then didn't play one hole of golf on Saturday. So my whole Saturday was Auburn football, which worked out great. I was super excited about the game. And I was able to watch the whole thing, knowing that I wasn't going to play any golf that day. And to see them really, really throttle the Georgia Bulldogs was pretty sweet. I was amped. Now of course, that sets up probably the biggest match up in college football and we've kind of moved away from the golf for a second. But Diane has history with your eagle [INAUDIBLE] who we went and shot-- our great friend Jason Dufner at Auburn. And you're born in Alabama. Tuscaloosa, Alabama, and you did not stay home. You moved across state to Auburn. Of course the Iron Bowl is this weekend, or the next weekend? It is the next weekend. It's the last regular season game, and we're pretty excited about that. That game has a lot of playoff implications, and I know everybody will be tuned into that. Now Diane, tell Patton about your-- of course everyone at Auburn knows that the eagle flies before the game, and we got to meet the eagle. And we fed the eagle down on the field. Tell Patton about your association with Nova, the Golden Eagle. My experience with Nova. Patton, I'm terrified of birds and I have been my whole life. So Duff and Elk were like, oh, we're going to go to Auburn Stadium, and we're going to meet the Golden Eagle. And I'm like, guy's, talk about throwing me into the fire here. Like, I can't be around a chicken, let alone a golden eagle with a wing span of like, seven feet. So we're standing in the center of the field, and Nova's up at the top of the stadium. And the lady that's down with us, she's got like a-- was it a mouse that she had, Elk? It was a tiny little mouse. It was a mouse, yeah. Oh. And she was spinning this round. And the eagle just swooped down. And I actually stood and hid behind Elk and Duff. Because I was like, oh my gosh. I can't be anywhere near that thing. It was the scariest experience of my life without a shadow of a doubt. Oh, man. Yeah, those are amazing birds. I love big birds of prey. Those interest me. I know Elk's a bird guy. I think it's fascinating. I think you need to overcome your fear. Yeah. Well, he kept saying to me, Diane, this is going to be the most amazing moment ever. I can't wait for this moment in life. And I'm like, well, I could do without it. But I feel like I overcame a bit of a fear after doing that. So it was good. It was all good. And of course, Patton, you're the biggest bird of prey now on the PGA Tour. It's hard to believe how quickly you've become a great player. You know, we shot your Player's Channel. I kind of forecasted this a little bit. That you were going to-- you've been very successful on the web. You've won a bunch of times there. You've had some second places on the tour, but you never really were out front like this. Is that true? And what was that like, where you got four out in front? And what did that feel like, being out there on your own? Right. I've had some good finishes on the tour, and most of them have been coming from behind. I did have a nice few stroke lead in the Safeway last year. And I wasn't able to fend off Brendan Steele's charge. So I kind of knew what it was like. And I knew Rickie was going to make a push. And I was going to play as aggressive as I needed to, or as conservative as I needed to. I just knew what I needed to do to get it done. And it got pretty interesting. It was closer than I wanted it to be, but it was pretty special. And of course you had your wife down there with you. And you got on the drink. Had some tequila Sunday night, and that was good. You said you had the best, worst hangover in the world on Monday morning. Is that right? Because you had so much money in the bank, and you felt terrible. Yeah. It was one of the best hangovers I've ever had. The waiter brought me a margarita. And every time he brought me another one, I said, I want it a little bit stronger. So I paid for it the next morning. All of us golf junkies out there, Patton. Do you have anything in the bag? Is there any one of your sponsors-- Titleist, who I've played with my whole career. Do you have anything new to tell us about the win, or any new ball? Well, nothing real news. I've been using the same equipment for several months now. I have used the new iron since the fall season. So the 718 Irons have just been this fall. So I could give them a little credit. They've performed well for me. And you know I always like Titleist-- the transition into new clubs or anything like that is so seamless-- new ball. So it's seamless for me. They keep putting out great products, so I trust them. And what's the specs on that putter? That magic wand of yours there. I got to putt with it when we were at Sea Island together. But what is it? It's a Scotty Cameron Golo. It's a Circle T edition. It's one inch long of standard. So I guess that puts it 36 inches. And I'm a standard loft, standard lie kind of guy. I don't like to tweak it too much. It seems to fit my setup, and I keep it pretty simple. Fantastic. Listen, mate. It's been an incredible little mini run for you. Last year, you were up and down on the tour. You had some great finishes early. And then you sort of went very flat during the middle of the year. You and I discussed this. You're in a similar position this year. Now, you have gone even better. You've had a second, a first, another top 10. What did you learn from last year about what's coming up? Well, I'm certainly using it as motivation. I didn't have a really good summer last year, and didn't really have a good playoffs again. So all the spots that I haven't performed well in, I'm looking to change that. I'm excited to have another good fall, but I don't want to be considered just a fall player. I want to be full year, all time-- just whole season, well rounded player. And I think I've gained a lot of confidence from this win. And I learn a lot about myself every season. And this is my third season. So we're going to apply the little things we've learned about scheduling and preparation, and rest, and all that stuff. So I'm excited about a new season. And of course I'd be remiss if I didn't note that there's so many goodies come with winning as you did in your first win at Mayakoba. I know your brain has already drifted to April. Tell me what it's going to be like for you, and fulfilling that bucket list item for a golfer growing up in Alabama, not too far from Magnolia Lane, mate. Yeah. That's something I've looked forward to all my life. My dad and I have been going to Augusta. We went a handful of times when I was a kid, and the place is just magnificent. And people ask me all the time if I've played Augusta. And I guess it got to the point that I felt like I needed-- I wanted to be in the tournament, if I'm going to go play Augusta. And now, to be able to say that I'm playing in the Masters is so sweet, and I can't wait. It's going to be a great experience for me. Yeah. And probably Diane and I'll be there watching you, mate. And the Secret Golf crew. Mate, we'll let you go now. You're obviously at home this week at Sea Island. It'll be a very busy week for you. And we want to thank you for sharing your winning experience with us. Well, I appreciate y'all having me. And I love the support, and the Player Channel. Our time together was awesome, and gave me a little bit of extra confidence. And maybe I used it there at the Mayakoba. Amazing. Congratulations. We were so happy for you. And good luck this week, being back in Sea Island as well. All right. Well, I appreciate it. Thank y'all. He's so kind, isn't he? That was excellent. That was so good. He is so chilled out after that win. I know, it's unreal. He literally can't raise his-- his decibel in his voice just does not raise at all. And no matter what happens. And I think there's something to learn from that. It's hard not to be amped up when you're winning a tournament. And I don't know, man. He's just so perfectly built for-- mentally wise, or emotional wise, for being a PGA Tour golfer. It's funny, because I watched him on TV on Sunday. And I was in San Diego over the weekend. And I have to mention, Russell, my brother who finished-- tied ninth. So got a top 10 finish at Mayakoba this week, which was brilliant. So my whole family that lives in San Diego, we were all around the TV watching it. And I had said to them all, when we figured out that Russell was not going to win, had no chance of winning. I said, we're cheering for Patton because I've been working on his Players Channel at work. And everyone said, he looks so chilled out. He looks so calm and collected. And I'd say to them, he's kind of like that as a person anyway. So that's got to help him in a situation like this. I really think so. I mean, we were there shooting his Players Channel and we got to learn so much about Patton. The Players Channel is just now getting ready to come out, as you know. And people are going to be excited to hear this podcast and come to Secret Golf and check out Patton's private channel. He struggled a little bit in his career with driving accuracy. He's a tall guy, 6 foot 5". And as you can imagine, being that tall and big wind up. It wasn't automatic for him to drive it straight. And he would have these-- if you look back at Patton's scores, which I was following him last year. He would have a lot of rounds where he was in the 60s, and then he'd be in the middle of the 70s and miss a cut. And I would say to him, Patton, what's the difference there? And he says, mate. 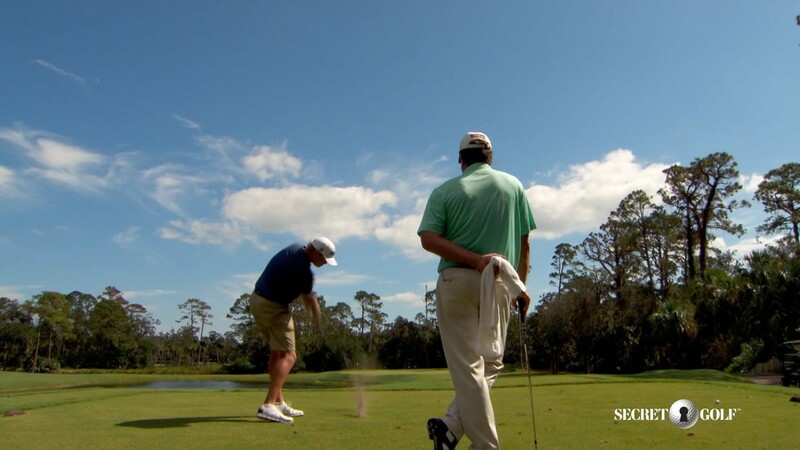 He says, sometimes I struggle with my tee shot, and I can't get it going straight. And he's worked very hard with that, and I think it's starting to show because he putts so good. To give you an example. He beats the field of the PGA. He beats the PGA Tour every day by 1 and 1/2 strokes in putting. That's just average. So whatever the tour does, he beats it. He beats all the putting people by two strokes-- almost, per day. And that's amazing because-- Diane, as you know. At the end of the week, if you just took two strokes off your final score and see how much more money you would make each week, then you would be a kazillionaire. Well, that's what it comes down to on the final day, doesn't it? What do you say? Drive for show, putt for dough. Yeah. I think in my case, I struggled with my putting when I played on the tour. And when I was putting well, I knew that I started to get into a mindset that once I did start the putt well, then I could be more aggressive and get in there. And sure enough, that was a lot of the weeks that I won. But Patton, he putts good all the time. He would be the closest I've seen to-- since like, a Crenshaw. Elite. I mean, tour players are elite, but I'm talking about a virtuoso putter. Like the most incredible musician with the putter. That's Patton. Well, I've been editing his Player Channel. And when we put it live, the putting videos that Patton has done for us are unbelievable. And the way that he breaks it down, he makes it very simple for other people to adopt his techniques and what goes through his mind when he's practicing and getting ready for the big putts-- the clutch putts in the tournaments. Yeah. And it's not all about his stroke. He's real visual when he's-- even audio. He has to hear a certain noise. And it's very interesting, talking to him and Brian Harman. Who I must add, who's mentored Patton down there for years. A lot of people don't know this. That when Patton was struggling on the mini tours and he was down on his luck, Brian Harman, who's also a Secret Golf player who won this year-- great season. Already had two top five finishes in Asia this year-- gave Patton some front money to get back on the tour, and started him back up. So there is some deep respect of what Patton's ability-- when you start giving a guy money to go back out, and make him go back out on the tour. If you know what I mean, Diane. Exactly. Huge. Well, I mean we're delighted for Patton, obviously. But there's also one more person I want to mention. Martin Piller, who finished tied fourth at Mayakoba at the weekend. Which is just-- I was watching him and some of the putts he made, especially on the final day-- were just exceptional. He's another genius, that guy. He makes putts from everywhere. And they kept showing him on TV. And they'd say, well, here's Martin Piller. He's just holed another 30 footer. Of course, we all know Martin Piller, who is-- his famous wife is Gerina Piller, who we just done a very important partnership with the LPGA Women's Network. And we are on cue, Diane. Everything is happening good for us right now. Gerina Piller's own personal channel is now up at Secret Golf. And I know you worked on that. Tell us a little bit about that channel. Well, I love Gerina. We had her on our last podcast, so you can go back and listen to that if you missed it. But Gerina is brilliant. Gerina is an all round sports woman. She's played every single sport going. And obviously now, Solheim Cup. She's had massive success. She's still looking for her first win on the LPGA Tour. But when we had her on the last podcast, we were talking about the relationship that her and Martin have, because obviously, they've been married for a while now. He was playing Web.com, now he's back on the PGA Tour. Gerina's career is obviously just going from strength to strength. And we were talking about how they keep the spark in the marriage when they're both away all the time. And the thing that I really liked, is when she said that they don't play against each other in a competitive fashion. So if they have a week off and they play golf, they're like, we never compete. I don't think I want to play against-- I don't want to get on the wrong side of Gerina when she gets-- but it was a very interesting podcast, Diane. Listening to them-- how they have balanced their marriage with both of them traveling in different directions, and going for quite long stretches without seeing one another, and still being able to have that fire to be able to keep pushing. I know for me, I'm not that strong. I'd rather come home after a couple of weeks and see my wife. But for them to commit with that kind of commitment to their craft, is very exciting to watch them play. And it's hard not to be a big fan of the Piller's. Yeah. They're lovely people. They really are. So excellent, it was a good week in Mayakoba all around then. Let's be honest. It absolutely was. And of course, Veterans Week, you went out. Tell us about your trip this weekend. You were in San Diego to honor, your what? Your grandfather? Yes. So my grandpa served in the Navy. And my dad's side of the family is all from San Diego. My grandpa passed away four years ago now. But for my Granny, it's always-- you know, Veterans Weekend is always a really important weekend for her. So I went out. And we have a-- it's called the Mount Soledad's Veterans Memorial. And it overlooks the whole of San Diego. And I went to the ocean, and it's gorgeous. It's a massive cross they have there with little kind of plaques for people that did serve, or maybe are still serving. So we went there, and went for the big service. And it was lovely. It was good just to be a part of it. And Veterans Day is something that has always meant a lot to my family. But now that my grandpa is no longer with us, it's something that we find very important. To be able to spend the time together and honor him and just remember the sacrifice that he made, and so many other people made for the country. Yes, indeed. And of course, you being out in San Diego, did any of the San Diego coastline remind you of the Forth of Fife? Or is it the Fife of Forth, or whatever that is in Scotland over there. The Forth of Fife. No. Let's say the San Diego coastline is very different to anything to do with Scotland. I actually put on Twitter, a picture of the sunset at the beach. And someone replied to me saying, oh, it's just like Loch Ness in the highlands where I grew up. And I said, yeah, it's exactly the same. No, it's not. No, it's not. So that's great. I get a chuckle out of Scottish people going to Australia, and over to the west coast. Not that we're any better, but it's just different. I'll leave it at that. That's it. That's the word. This week is the last week of the fall. We've got so many players playing in the Sea Island. Of course we were there recently. It's a tremendous course. The scoring will be extremely low. And let's face it, Secret Golf-- when you come to Secret Golf, you're almost guaranteed a win. We might have to sign up your brother soon and get him over here. Get him back on track. Well, I said to him-- because the past couple of years he finished second at Mayakoba. Last year, he finished third at Mayakoba. And this year, ninth. So it's going the different direction for him. He's going the wrong way. I said to him, maybe we do need to sign you, and we could get that going. So he's all for that. I might go up to Sea Island this week and see him, because he hasn't played this course for the past couple of years. But this is a course that suits his game. So and after the confidence of Mayakoba, I am hoping that it's going to be a great week for Russell. Yeah. I was up there myself. And just for people to know that the tournament this week at Sea Island, it's a very friendly course. It's sort of-- I don't want to say resort. But they have some rough up there. Greens are excellent. The scoring is always very low, and the players are really-- it's a real relaxed atmosphere at Sea Island. Just the hospitality is off the charts. You've got to shoot low. I mean, I went around there, Diane, at about 68, and I'm ancient. I am not going to say a word. Thank you, Elk. And thank you to Patton for being on the podcast today as well. A massive congratulations to him. Such a good guy, and he really did deserve his first win on the PGA Tour. I'm sure it's not going to be the last. So you can check out our web site, secretgolf.com for-- well, Patton's player channel is going to be coming soon. But we have everyone else out there for you to check out, including Jason Dufner. Pat Perez, who won the OHL Classic last year. Gerina Piller, as we were talking about earlier, too. So it's all online at secretgolf.com. Also, our podcasts are on iTunes. So if you haven't already, then make sure you subscribe there, and then you will get the brand new one as soon as it's ready. Another one coming for you next week, from Secret Golf.